Dar es Salaam may not be awash with activities but quick getaways to islands, mountains and game reserves are just a stone’s throw away. See what to do in Dar es Salaam in this mini travel guide. For those wanting to experience the daily hustle that is Dar es Salaam, Afri Roots arranges guided tours through local neighborhoods. 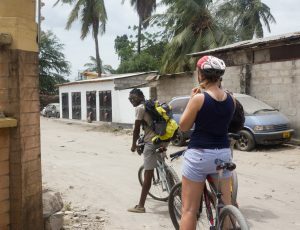 The company is African owned and run, and the bike tours have become a popular excursion among tourists and Expats. Streetside in Ilala, Dar es Salaam. 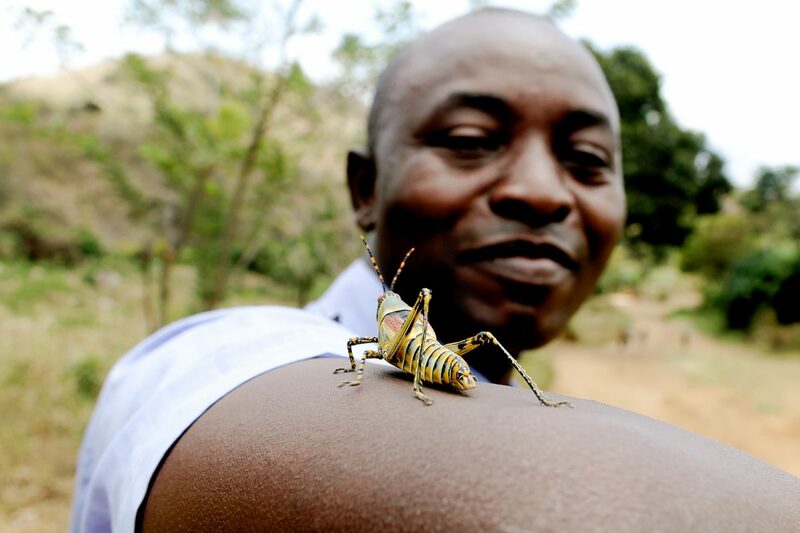 Want to see more of local life in Dar? Check out The Reality Cycle: A City Tour of Dar es Salaam. 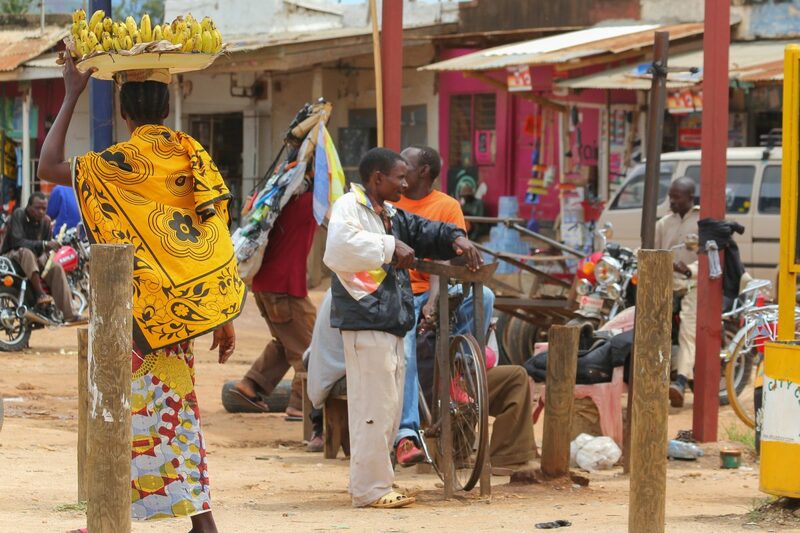 A trip to Kariakoo Market is another way to experience a bit of local life. The sprawling bazaar includes a covered market and blocks of small dukas (shops), roadside vendors and hawkers carrying everything from mihogo (cassava) to buckets on their heads. Pescatarians may love a trip to one of the city’s fish markets. Kivukoni (next to the Kigamboni Ferry Terminal) is the largest. While the smaller market on the Msasani Peninsula (down the road from the restaurant Cape Town Fish Market) is less crowded. 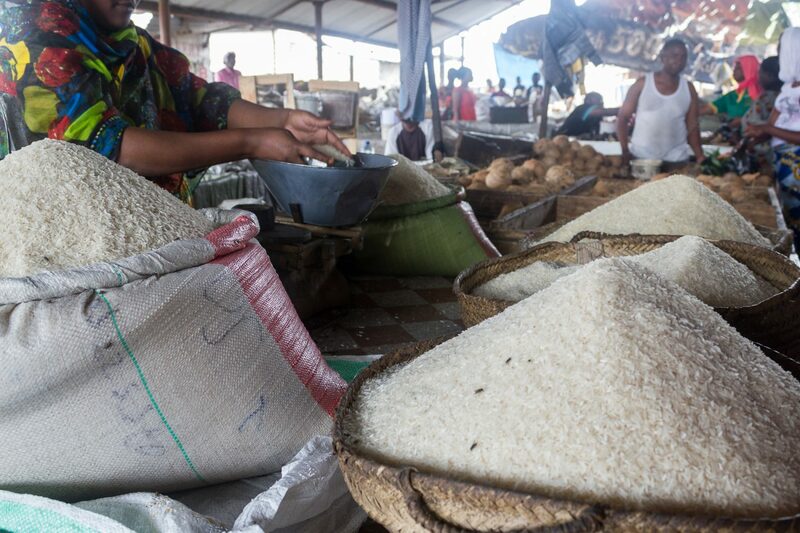 Rice by the kilo at Tandale Market in Dar es Salaam. Market trips are a DIY excursion that you can arrange with a reliable taxi driver. Find one that is willing to drive you through the often impassable streets and wait for, or accompany, you in the area. Dress appropriately (read: plainly and women, fully covered) and carry nothing of value. See Know Dar es Salaam for more about dress and safety. Initiatives to help save the critically endangered hawksbill turtle are relatively new in Dar es Salaam. 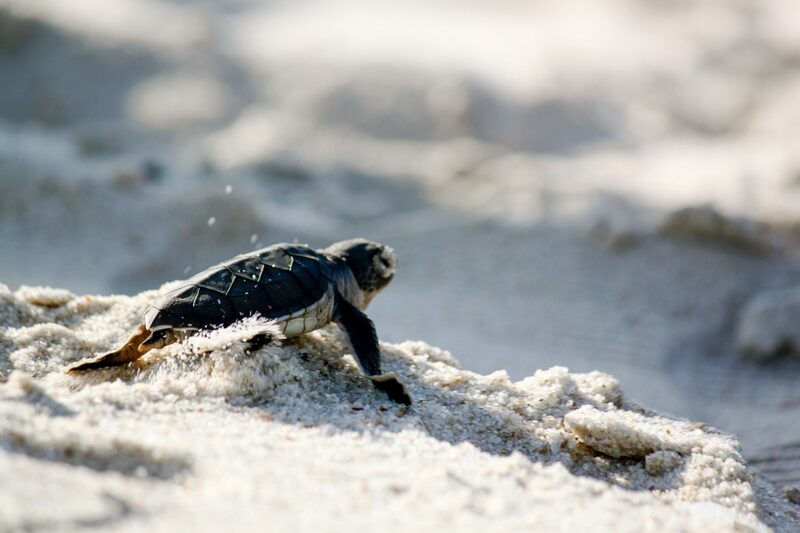 Sea Sense, a non-governmental organization, and the safari company Authentic Tanzania organize excursions to help hawksbill turtle hatchlings journey safely from sand to sea. 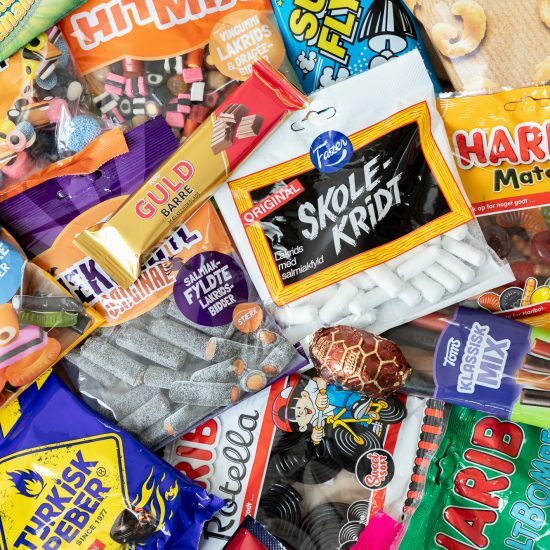 The half-day experience includes transport from Masaki, a private guide and snacks. And, 40% of all proceeds go directly to fund Sea Sense’s turtle conservation programs. 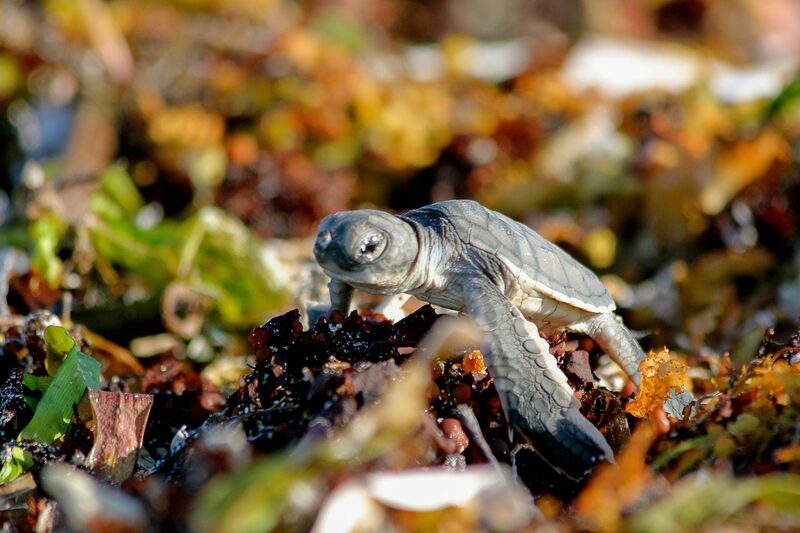 Newly hatched hawksbill turtles heading for the sea in Kigamboni, Dar es Salaam. The Oysterbay Farmers Market is a joint World Food Programme-CEFA endeavor to promote locally grown produce and products in Tanzania. Once a month Tanzanian producers sell goods ranging from Iringa cheeses and Kilimanjaro coffees to moringa powder and hand-pressed coconut oils. 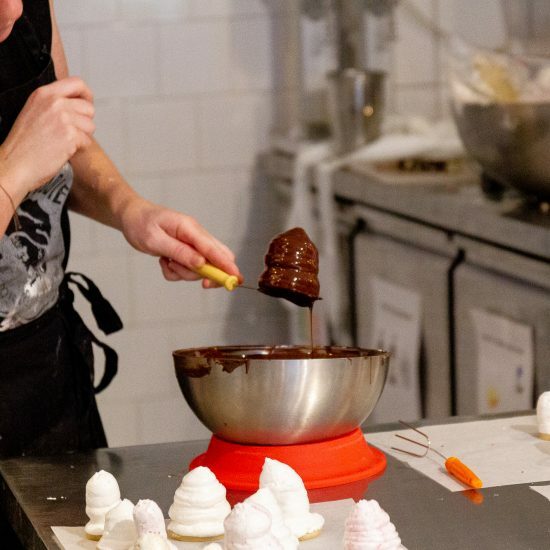 The market, held the last Saturday of every month in the Oysterbay Shopping Center, is one of the only opportunities to taste and purchase a wide variety of local food products in one venue. 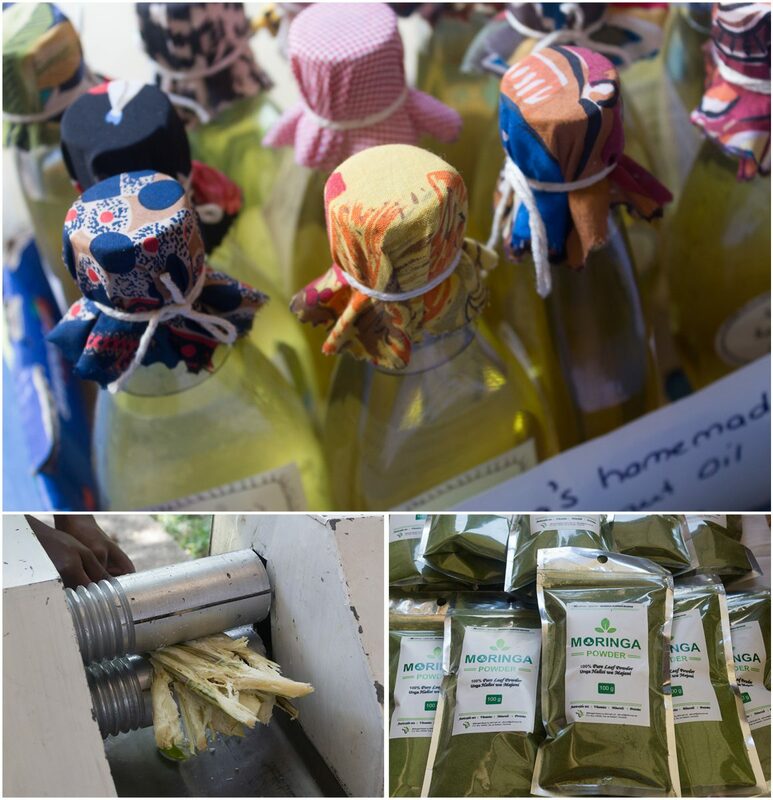 Salama’s hand-pressed coconut oil, hand-pressed sugar cane juice and moringa powders at Oyster Bay Farmers Market. Every year, more and more kitesurfers travel to Tanzania to catch warm breezes and a bit of equatorial sun. Paje village on the island of Zanzibar is the favorite spot for kitesurfing in Tanzania. But there are a number of places to kitesurf in Dar, especially if you have your own gear. Kunduchi Kite School is the only center in Dar that offers courses and equipment rentals. Lessons are tide and wind dependent, and the school is only open a few months a year. 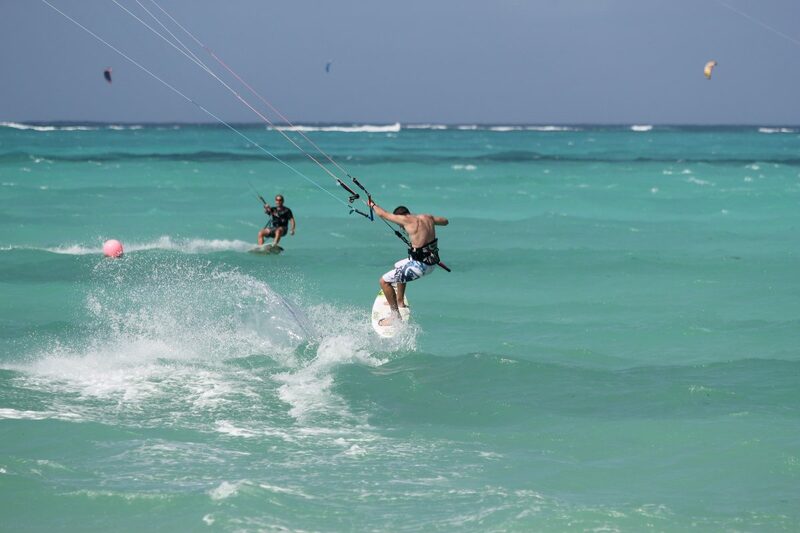 For more on kitesurfing in Paje, check out The Eastern Jewel of Zanzibar. 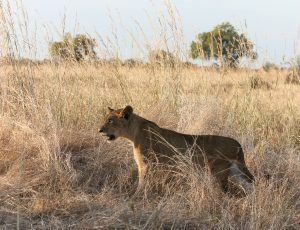 The national parks of Mikumi, Ruaha and the Selous Game Reserve are among Tanzania’s lesser-known wilderness areas referred to as the Southern Circuit. Thanks to low visitor traffic, the experience in any of these parks can feel extraordinarily intimate and uniquely private. Weekend safaris or longer trips can be easily arranged from Dar in advance or upon arrival. 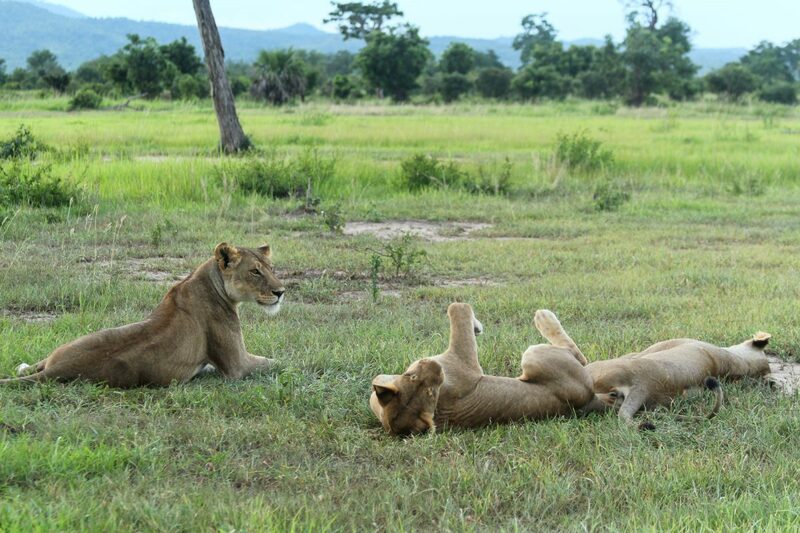 You can access all three parks by plane or car, but most will drive to Mikumi and fly to Selous and Ruaha. (Worth noting, the latter two are also the few places in the world to see the African wild dog.) Consider booking with companies that are based and operated in Tanzania rather than companies that organize safaris from abroad. Advertising Dar is a good resource for finding local safari companies, many of which will publish safari deals in the weekly paper. Lastly, the flying safari company Coastal Aviation also organizes trips and last minute deals, in addition to being the go-to company for flights within Tanzania. Want to take a safari through Tanzania’s Southern Circuit? 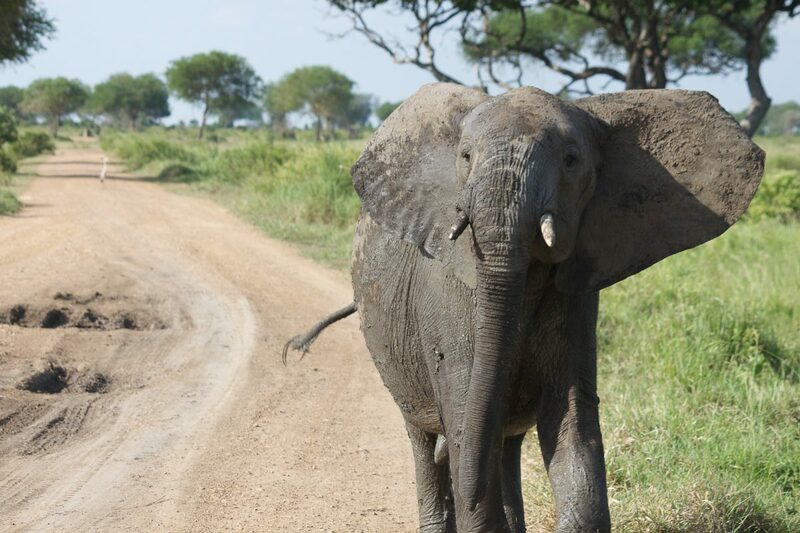 See The Wilderness of the Southern Circuit for a trip through Mikumi National Park in photos. 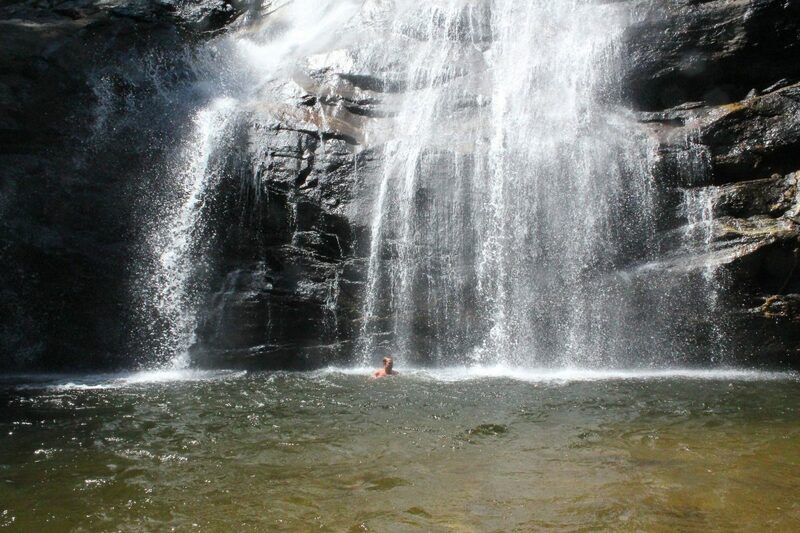 A hiker’s paradise, the Udzungwa Mountains National Park is also part of the Southern Circuit. The park is a few hour’s drive from Dar and has limited accommodation. So be sure to book your lodge before you go, and check out Advertising Dar for deals and discounts. Every year between October and March, groups of whale sharks surface off the coast of Mafia to feed on the island’s plankton rich waters. 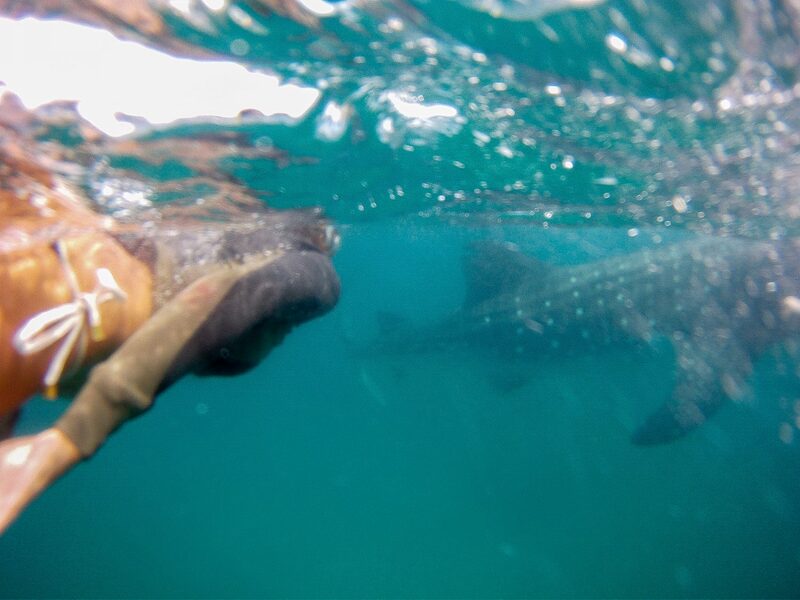 Swimming with these gentle giants is a magical experience, and worth the additional flight south. Essentially all resorts on Mafia Island will organize whale shark excursions, but among the most highly rated trips are those organized through Butiama Beach and Kitu Kiblu. 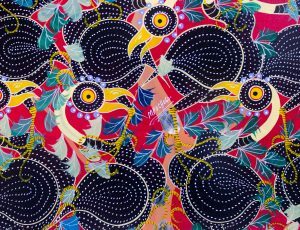 Kitu Kiblu also supports a number of local development projects around Mafia and Chole islands, and offers an opportunity to intern with the organization. You may think Zanzibar when talking beaches in Tanzania, but Dar has a number of white sand beaches ideal for working on some tan lines. Located on the Msasani Peninsula, Coco Beach is a favorite among locals and Expats. Most foreigners who venture to Coco Beach do so to surf, kitesurf or SUP (rentals are not available). Or to enjoy a few beers at sunset from the local bar. An uninhabited marine reserve, Bongoyo Island lies just north of the Msasani Peninsula. Boats from The Slipway Marina depart regularly for Bongoyo and the trip takes about 30 mins. The ride can be rough — especially at high tide — so be sure to bring a waterproof or plastic bag for belongings. There are a limited number of bandas (roofed huts) for rent on the island. There is also a small restaurant that serves (sometimes) cold beers and fried food. Lastly, hikers may want to check out the small trail to the end of the island. But, consider hiring a “guide” as accompaniment. 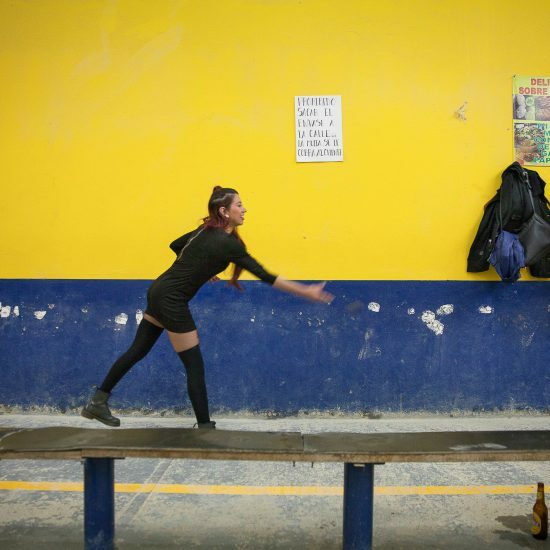 Although the trail is easily navigable thieves have targeted foreigners walking on their own. Unfortunately boat traffic and strong tides have washed away much of Bongoyo’s beach, but a trip to the island is still a nice reprieve from the scorching, Tanzanian sun. A bit farther north, the beach at the Kunduchi Beach Hotel and Resort is a stretch of white tidal sand. 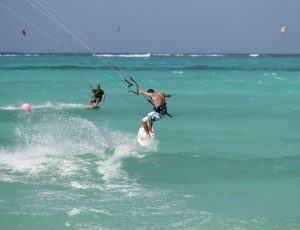 The beach is open to the public and is a favorite among kitesurfers in Dar. Non-guests pay a fee — around 10,000 Tshs, cash — to use the beach. 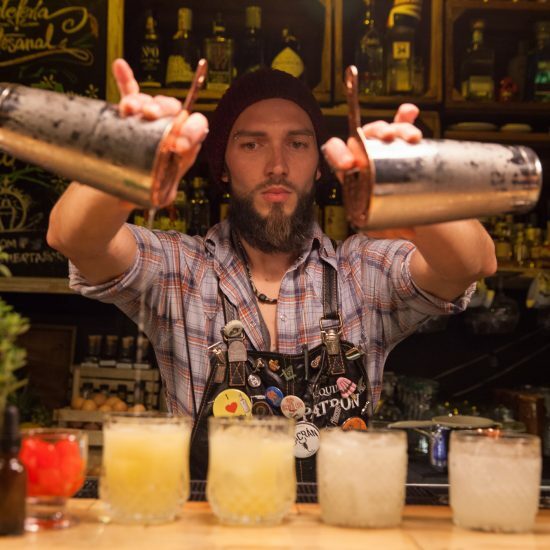 Bandas, cocktails and food service are available and Kunduchi Kite School offers kitesurfing lessons seasonally. Kunduchi Beach is typically packed on the weekends, but is virtually empty on weekdays. East of Kunduchi, Mbudya Island is another uninhabited marine reserve. The “official” Mbudya boat leaves regularly from Hotel White Sands, but boats can be organized from Jangwani Sea Breeze and The Slipway Marina. Compared to Bongoyo, the beach on Mbudya is larger and better preserved. It also has more covered bandas, chairs and hammocks, and a larger restaurant. Lucky visitors can even catch a glimpse of the coconut crab. The elusive arthropod is the largest of its kind in the world. 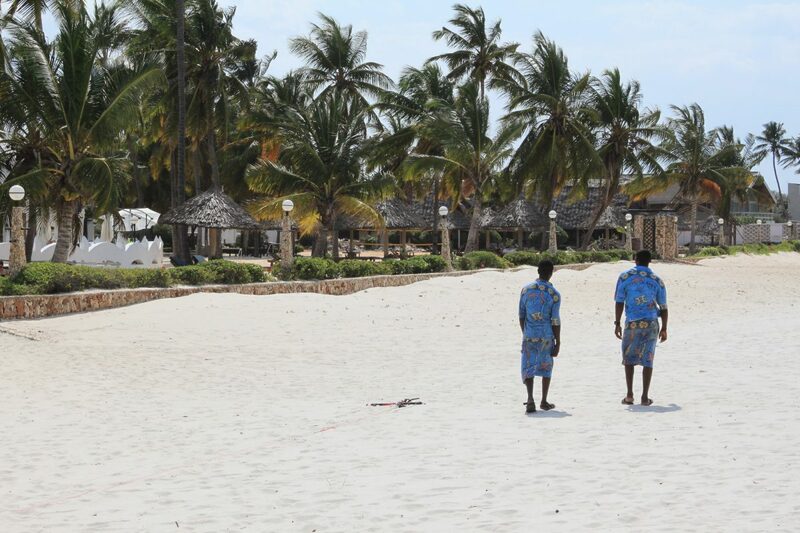 The name “South Beach” refers to a series of white sand beaches located in Dar’s southern district, Kigamboni. South Beach is considered to have the best beaches in Dar, and a trip to one is typically an all- or multi-day affair. Kijiji Beach, Sunrise Beach Resort and Kipepeo Beach are among the closest to downtown Dar and are roughly 60 minutes away. Live music is common on weekends and non-guests can access the beach for a fee. You can book a number of water-related excursions and activities from the hotels, including a day trip to nearby Sinda Island. Among the more secluded beaches and accommodations are Ras Kutani, Protea Hotel Amani Beach, Siri Yetu Villas and Lighthouse Beach Lodge. Consider staying the night if you make a trip this far south. Regardless of where you sunbathe, avoid bringing anything of value with you. While most beaches have some sort of security, guards have been known to “disappear” when thieves arrive. See Know Dar es Salaam for more on getting to Kigamboni and being safe in Dar. Although they may be on sightseeing lists, reconsider the following activities during your visit to Dar es Salaam… Especially if you are crunched for time. The few museums in Dar are in desperate need of repair and despite best efforts, leave many a traveler disappointed or underwhelmed. Reconsider a trip to the Village or National Museum for a city tour with Afri Roots instead. Once the capital of German East Africa, Bagaomoyo is a historical town roughly 65 km (40 mi) northwest of Dar. The town comes alive every year for the annual Bagamoyo Festival of Arts and Culture but is otherwise sleepy with (severely) limited accommodation, restaurants and activities. Consider getting your cultural fix in Stone Town instead. Or, forego the history entirely for a long weekend on Lazy Lagoon just southeast of Bagamoyo… We won’t tell!